OTISS is built around the use of smart phones and tablets (with GPS, 3G/4G, WiFi, cameras, etc) or rugged GIS data collectors – backed by a comprehensive, secure website. The mobile devices are used on-site and they sync maps, photos and inspection data with the OTISS website. The website is then used to view, update and share the survey data, and to generate reports. All survey data can be downloaded in a variety of formats to integrate with your existing systems. Maintain a complete and up-to-date inventory of your tree stock, estate furniture and assets – displayed using online maps, your own estate maps and spreadsheets. Provides your staff with instant access to view and update the data from their Android mobile phones or any web browser. Take photos as you survey. Good photos reduce the need for detailed descriptions, and speed up the survey process. Better estate management decisions can be made when you have accurate information at your fingertips and a coherent view of all aspects of your estate in one place. Implement your Tree Management and Tree Safety Policies with a rolling programme of tree inspections. Your staff and/or independent Arboricultural Consultants will carry out the tree inspections and they update the results online. OTISS maintains audit trail to show that you have taken reasonable steps to inspect, risk assess and maintain the trees on your estate. Accurate information to plan your annual maintenance budgets. 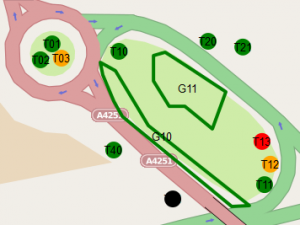 Pro-actively manage your trees and assets using an extensive range of data queries and reports. Excel Reports with tables and charts can be tailored to your needs. All the inspection data can be downloaded as an Excel spreadsheet for further detailed analyse. PDF Reports (with your logo) are automatically created containing coloured charts, graphs and tables. Being online allows for seamless collaborating between your staff and arboricultural professionals. This is an online service, there is no software to install or maintain on your PCs. Estate Managers pay an annual subscription for the use of the system. Always online! Instant access to all your maps, photos and data from anywhere, at any time. OTISS is a shared repository of on-line maps, photos, documents and data that for use within your organisation and can also be shared directly with independent arboricultural consultant and contractors. Under your control, they have access to view and update the data as required. 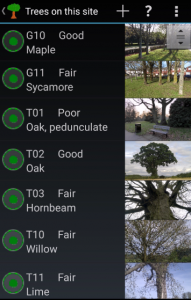 At present, OTISS is focused on providing Tree Safety, Footpath Maintenance, Park/Street Furniture surveys using Android™ phones and tablets, with an increasing range of features, survey types and platforms. 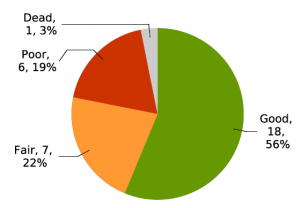 Mobile platforms: Android phones and tablets. Photos: take photos of the trees as you survey. Maps: online maps; estate maps, architects plans, CAD DWG drawings, Ordnance Survey maps, OS Mastermap, geo-referenced maps or aerial photos. Reports: Template driven Excel reports, PDF reports with your logo. Data export: Excel Spreadsheets, CAD/DXF. Legal: Audit trail of all inspections and recommendations. Online access to view/share and update survey data and maps. Online collaboration for performing surveys. Voice input on all text fields using the Android “Google Voice Typing” feature. Surveys types: Utilities, Hedges, Bat, Ecological, Phase I. Maps: Ordnance Survey online maps.